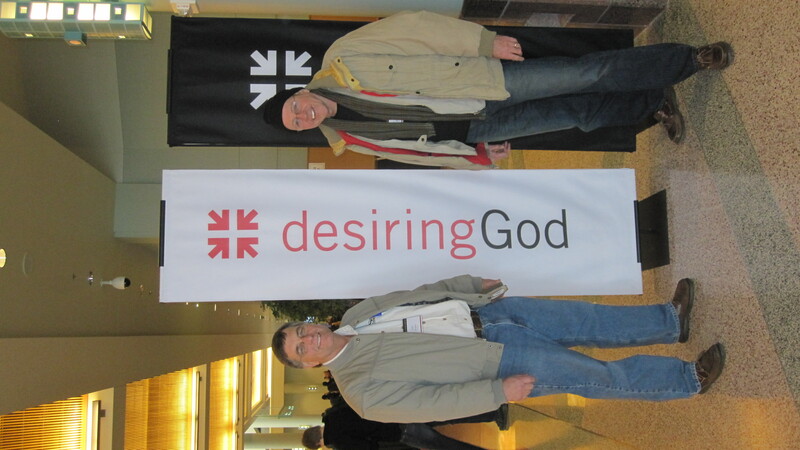 Greetings from the Desiring God 2011 conference for pastors. This year, thanks to a most generous OGC benefactor, I traveled with a friend, Jack Jenkins, pastor of Faith Baptist, Orlando. Thank God for a peer to compare notes on such a strategic theme as prayer in the life of God’s man. Tomorrow we hear from Jerry Rankin on prayer and missions (buckle your seat belt) and then the panel Q&A. 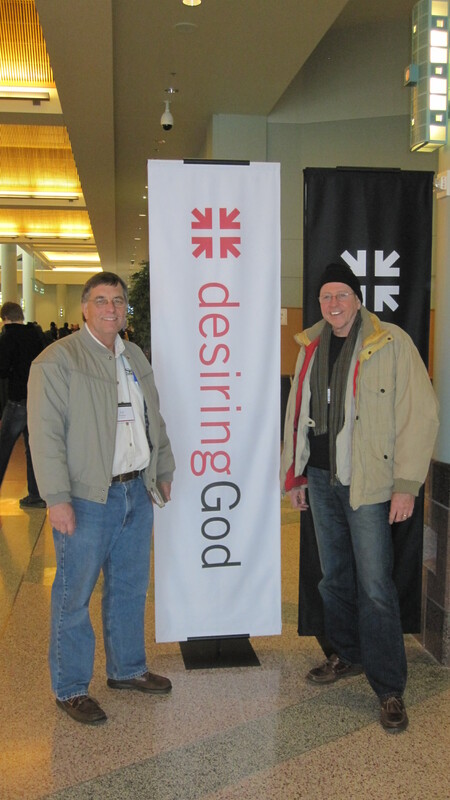 The Lord and weather permitting we fly out of MSP at 3 PM, local time. 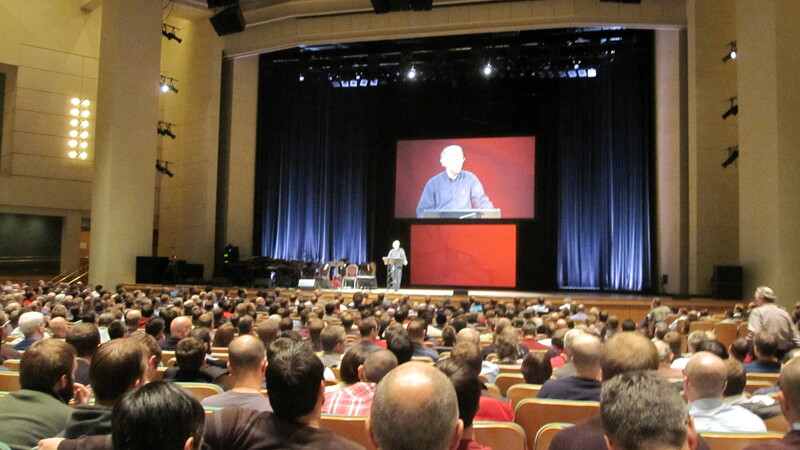 What a rich privilege to attend yet another DG conference on this the 25th anniversary of the publishing of John Piper’s seminal work, Desiring God, the book that put me on the road toward a God-entranced vision of all things (if you haven’t read it, what are you waiting for?). 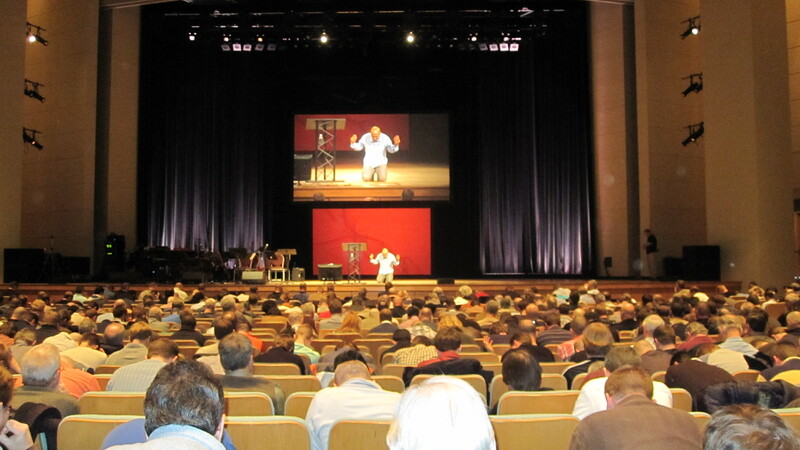 I got so excited at one point this afternoon I shouted Hallelujah in the session – from what I could tell the only one out of 1700 hundred in attendance. Not sure why no one else was similarly moved, but no matter. When I get back home, ask me about it. I’ll be glad to tell you what moved me so. Oh to experience an abiding with God that amounts to a walk in love that leaves the stamp of God on the work of God through a man of God. Thanks for the quotes PC! I am proud that my pastor shouted “Hallelujah” (even though I don’t know why yet). I have a feeling the pride will increase when I ask for the surrounding context of the shout. Ah, the secret will be revealed in due time. Thanks, friend. Sounds like a rich time PC! Thanks for the nuggets of wisdom!